I’ve worked with Aman and his team for almost 3 years. During that time, with Aman’s assistance and direction, I’ve purchased numerous pre construction condo units in prime areas. Many of these developments I would normally not have had access to. Aman has amazing contacts within the industry with all of the major developers! He is knowledgeable, responsive and a consummate professional who I confidently would recommend. 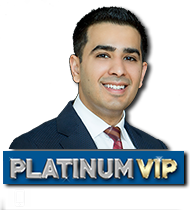 I have been working with Aman for a few months and he has been an exceptional asset to my real estate investments. He has always provided educated and well thought-out projects which cater to my needs. I would definitely recommend him to anyone looking to purchase a new property. I have been working with Aman and team for over a year now and can confidently say that they always have their client’s best interests in mind. They are extremely responsive and patiently answer all my questions and inquiries, to ensure that I am comfortable and well-informed prior to making my purchasing decision. I highly recommend Aman to anyone who is looking to purchase real estate property. This step can be daunting for many, but the team at TorontoCondo4U makes the decision seamless and an overall positive experience. I was a first time home buyer and, undoubtedly, was overwrought and anxious about my purchase. However, Aman guided me well and ensured that I was apprised of all the information at every step. Unlike other companies, I didn’t have to wait days on end to receive a response – they responded within 24 hours. The personal touch of their services is what sets them a part from the rest. The representative was willing to meet me in person, speak via text or telephone or any means of communication based on my comfort level and work schedule. I have recommended him to many, and I have received nothing but positive feedback for my referral.